The following is an excerpt from a book that's part of the curriculum of Level 2 of the Yi Fa Society, The Universal Yi Fa. There are some Qi Gong schools that make their students follow special diets. Sometimes these are general restrictions (like eating no meat, or abstaining from alcohol). Other times they are seemingly very specific and unusual restrictions (such as avoiding Onions or Garlic). Likewise, some Qi Gong schools teach that sexual abstinence is essential to Qi Gong practice, to preserve the 'primordial Qi' of the body that they claim would be wasted through sexual activity. Yi Fa Qi Gong has no such taboos. It is clear that some of the greatest Masters and Sages of history ate meat (or onions, or garlic), drank alcohol, and had sexual relations, even as other great Masters and Sages did not. Thus, it is obvious that neither one nor the other has any effect on cultivation. What does matter is Virtue, which requires that a person practice harmony in their life, and discipline in their actions. Thus, no specific things are forbidden, but moderation in avoiding excessive indulgence is recommended. The following is a rewriting of advice given in the private teaching group for the Yi Fa Society. If you are interested in joining the Yi Fa Society, please get in touch! What does Yi Fa Qi Gong teach us about control? If you are like most people, you want control, but it is the wrong sort of control. Your notion of control is based on a feeling of not being in control in the first place. So in fact, the way you try to be in control is an expression of your lack of control. When you can become aware of your body as it is, rather than trying to make it into something else, to force it to behave a certain way, then you take the first step to being a master over yourself. When you can get to the point that the body is so natural and relaxed that the breath seems to stop, then you have achieved a type of control that can't be compared to anything in common understanding. The first thing you have to do to gain real control is to accept fear, and carry on anyways. The second is to be able to relax, to be relaxed. Think about it, who is in control in a situation? Let's say on the battlefield, who is in more control: the guy who is freaking out, or the guy who is relaxed? The next step, in that relaxation, is to be connected to the whole body. You start with an anchor: the lower dantien, the straight spinal column, the breath. But from there the goal is to be inseparable from your whole body as it is. In a boxing match, who is more in control: the guy who is rigid and tense, or the guy who is fluid and relaxed? The guy who knows his body, or the guy who doesn't? The guy who can think and move as one, or the guy who thinks and only then moves? If you can relax and be so connected to your body that your breath seems to stop, then you will be in more control than you ever have been in your entire life. Join The Magician's I Ching; and the Yi Fa Society! Only a couple of weeks ago, a blog entry informed that the Facebook group created in honor of The Magician's I Ching, but which is a general discussion group for all I Ching related subjects, had reached 1200 members. 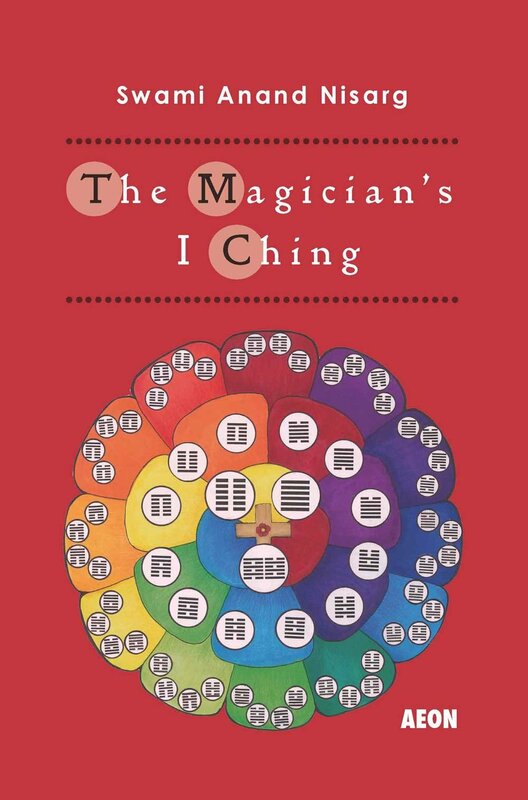 Well, as of today the Magician's I Ching Facebook Group has well over 1300 members! So if you haven't already joined, please consider joining! It's free, and filled with interesting conversation and material related to the I Ching and I Ching studies. It's open to people coming from western or eastern traditions. It's very welcoming to newcomers to the I Ching, and you can get questions answered or useful advice. But it also has many very learned and highly experienced advanced students of the I Ching also, and if you are one of those people you'll find some excellent higher level discussion about some of the finer points of I Ching study. While you're at it, please consider joining the Yi Fa Society. Members of the Yi Fa Society also have a (secret) discussion group, and benefit from a complete and detailed training program for studying Yi Fa Qi Gong and the I Ching. Members of the Yi Fa Society are taught additional Qi Gong and I Ching secrets that are not available anywhere public. At higher levels of membership, the advanced exercises of Yi Fa Qi Gong are taught, and students are provided large numbers of instructional materials (whole books', like "Secret Techniques of the I Ching", "Universal Yi Fa", "The Yi Dao", and "the Great Book of Yi Fa", among others) on how to deepen their work with Qi Gong and I Ching for self-transformation and the work of enlightenment. Members of the Yi Fa Society can work personally with me to keep up their practice, to resolve problems in their practice, and to develop discipline and structure in their spiritual path. Members also have the opportunity to have monthly Skype meetings with me for the same purpose. Have You "Stopped Breathing" While Doing Yi Fa Qi Gong? That's Not a Problem. Some people who've been practicing Yi Fa Qi Gong for a while start to have an unusual experience. If they get very deep into the practice, in the middle of it, they suddenly notice that it feels like they aren't even breathing! And yet, at the same time it seems that they aren't actually being negatively affected by this at all. It's as though they stopped breathing for some time and didn't even realize it. In fact, when you are doing the meditation very deeply, be it the sitting meditation or the standing meditation where you are in the chan mudra, it is quite possible that you could get to a point where your breathing is so relaxed that you can't tell you are doing it. It is a very common experience (talked about in the main Qi Gong document in level 2) where some practitioners might be standing, holding their hands in front of the dantien, and it suddenly seems like you haven't been breathing for quite some time! You don't feel like you're out of breath, you feel like you're just so perfectly still, and don't need to breathe. Of course, in fact you are still breathing; but the breath has become so soft and so relaxed and so natural that it seems almost imperceptible. This is not unique to just Yi Fa Qi Gong. It has been known as a phenomenon in Qi Gong since very long ago; the master Lu Tzu talked about it in the 9th century. This is not a problem, on the contrary it is an accomplishment! It signifies you have gotten very deep into the natural and relaxed state of meditation. However, please note that it can't be faked! If you try to fake it, you will just be tensing up and holding your breath, or trying to resist breathing as much as you actually need to, and then there are problems. But if you are entering into a very relaxed state naturally, then you achieve this state of depth, of profundity, where it almost feels like time has stopped and you have become eternal. That's the opposite of a 'problem'. "Form and Meaning" vs. "Image and Number"
Since early in the history of the I Ching, there has been a division among I Ching thinkers and practitioners between two ways to approach the system: there is the "image and number" aspect, and the "form and meaning" aspect. "Image and number" refers to looking at the I Ching as an esoteric teaching based on numerology, sacred mathematics, predictive systems and a method of structural analysis of ourselves and cosmology. On the other hand, in the "form and meaning" aspect, the emphasis is placed on the philosophical and allegorical value of the I Ching; in how it functions as a life-teaching, as a guide to a variety of human functions. So the "image and number" school looks at how the I Ching teaches us the esoteric mysteries of the universe, and the prediction of the future; while the "form and meaning" school emphasized how the I Ching teaches us everything from self-improvement, to leadership, to how to relate to others, and the development of personal and social virtue. Both perspectives are imperfect. The "image and number" perspective is often prone to getting lost in numerological nonsense, and does not focus on Virtue. But the "form and meaning" perspective tends to be ungrounded, ignoring the cosmological basis of the I Ching that justifies not just what to do, but why it is legitimate to do do these things. Also, the "form and meaning" teachings often end up being based on speculation or on projecting outside interpretations onto the I Ching: expressing a Taoist understanding of I Ching, or a Buddhist understanding of I Ching, or a Confucian understanding of I Ching, or a psychological understanding of I Ching, or a new age understanding of I Ching, etc. But in doing so they lose sight of the primacy of the I Ching itself. The real answer is to use the aim of the Form & Meaning school, while using some of the methods of the Image & Number school. The I Ching itself must be in the center of any interpretation of the I Ching! And it must be understood as a teaching system for attaining the Superior Individual. It does so through a set of images and mathematical structures, which demonstrate a solid quality of the nature of change and time. This is the very Real foundation of the I Ching; not in projection but in operative Truth. The lines and messages of the I Ching in turn teach the philosophical processes necessary to use those symbols to distance one's self from the Inferior Person and approach the Superior Individual. 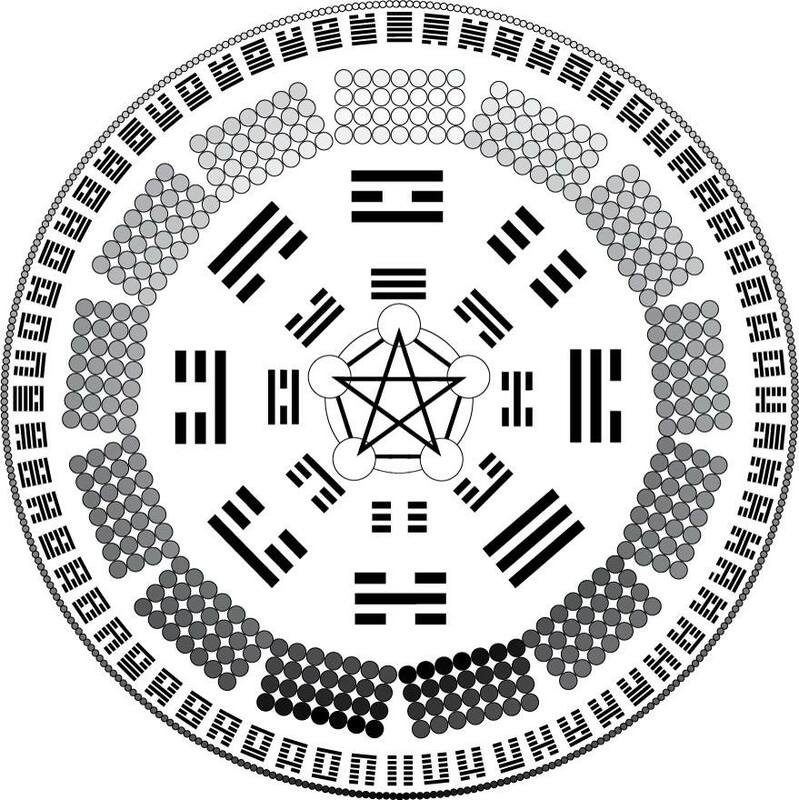 In many ways, the core concept of the Image and Number school was to treat the I Ching as a system of divination; and the core concept of the Form and Meaning school was to treat the I Ching as a philosophy and guide to Enlightenment. But a divination system that doesn't serve as a system for self-transformation and guide to enlightenment just goes around in circles; and a philosophical teaching about Enlightenment that has no practical construct of cosmological understanding cannot begin to change the person (that is, if you do not have a METHOD by which to 'do' the teaching, the teaching is left to be only an intellectual distraction). So we need to apply the method of divination to the aim of enlightenment.